Lately, I've been all about simplifying. Maybe it's my recent move back to Philly, or maybe it's the weather, but these days I find myself trying to find ways to keep it simple. In moving, this meant purging clothes and clutter. In the kitchen, this has meant keeping a fridge with just enough food for the week (no waste!) and meals that aren't overly complicated. 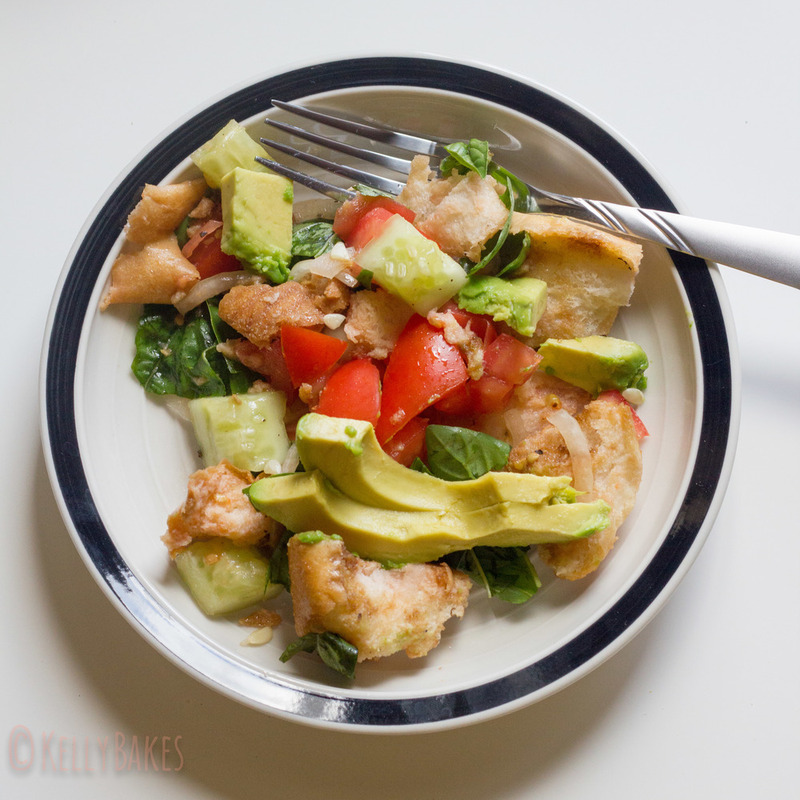 Which of course leads me to this delicious avocado panzanella salad. If you're not familiar, panzanella is a simple Italian salad made with stale bread, tomatoes, and a few other ingredients. I first had it in San Gimignano, Italy, as part of a gorgeous rustic lunch spread overlooking the Tuscan hillside. One of the most perfect meals of my life was also incredibly simple. Panzanella, pate on toast, prosciutto and melon, wine, friends and a spectacular view. 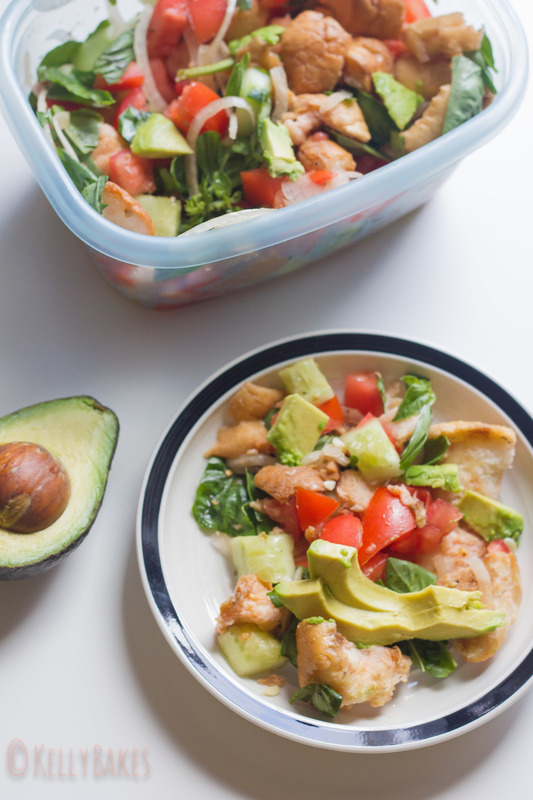 My version includes delicious California avocados, which make this salad even more healthy by adding good-for-you fats and over 20 vitamins and minerals. Plus, avocados are just mighty tasty, if you ask me! Combine these lovely green fruits with tomatoes, basil, a splash of olive oil, lemon juice, balsamic, and salt & pepper and you've got yourself the perfect summer time salad! Bring it to your Fourth of July celebration or your family BBQ. It comes together quickly and is sure to be a hit! **note on stale bread: You can use bread that has been stale for up to a week. If you're starting with fresh bread and crunched for time, heat an oven to 500F, spread the cubed fresh bread on a baking sheet and bake until dried out and just golden. Add bread pieces to a large bowl. If you're using super stale bread, soak in water for 30 seconds. Drain and lightly squeeze out some of the water. If you squeeze too hard, you'll smush the bread and ruin the texture. Chop tomatoes and add them to the bread pieces. Toss and allow to sit. Peel the cucumber and chop into small pieces. Add to the bread and tomatoes. Slice the onions super thin using a knife or a mandolin. Add to the bread mixture. Chiffonade or tear the basil and add to bread mixture. In a small bowl, combine the olive oil, and balsamic. Whisk to combine, pour over the bread and veggies and toss to thoroughly combine. 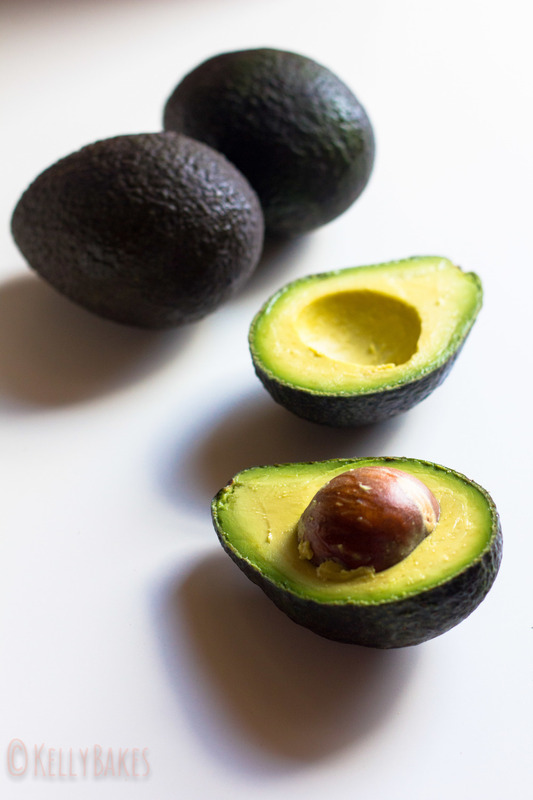 Cut the avocados, remove the pits and cube the avocado meat. Place into a small bowl and toss with the lemon juice to coat. Add to the bread mixture. Disclosure: I received a box of California avocados from the California Avocado Commission, which were used in this recipe. I was not compensated for this post. 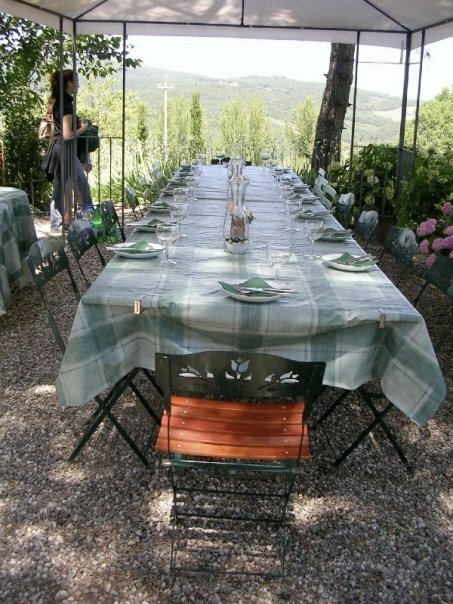 All opinions, dream Tuscan picnic experiences, and views expressed are entirely my own. I have a fear of yeast and a love of snow. As of today, that statement is now only half true. The thought of working with yeast dough is still enough to make my heart fall like the last batch of bagels I attempted, which were flat and stuck to the pan. 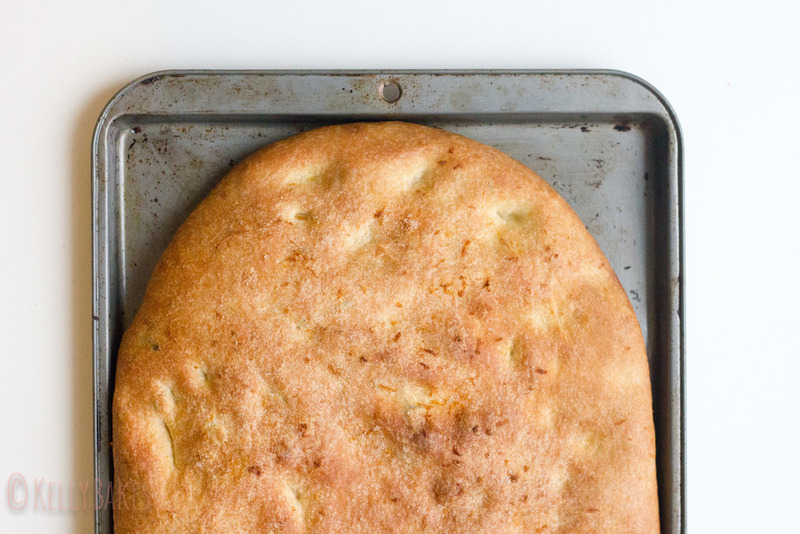 But thanks to this focaccia recipe, I'm confident that I won't be worried about yeast for long. During the last snowstorm we had (New England has been pummeled with so many this year that I've lost count), I was trapped in my house by myself for two days. Normally, I love snow. In fact, when I lived in Philly and got nothing more than a dusting, I prayed for blizzards. When I moved back up to Connecticut this fall, God seemed to answer all my prayers at once. By February, the snow in my front yard was up to my waist. I was sick of the weekly assault of wintry white. I was ready for sunshine, for warmth, for spring. Luckily for me, my kitchen held small signs of life after winter. In January, I had purchased two tiny plants, one rosemary and one thyme; each one was like a green beacon of hope, an herbaceous harbinger of spring. As I sat in my cold kitchen compiling a list of things to bake my way through the never-ending snowstorm outside, my eyes caught sight of the green little leaves of my thyme plant. They reminded me of tiny new shoots of grass, the muddy smell of rain-drenched earth and new leaves on trees, unfurling into being and leaving behind a wake of flower petals below. The happiness brought about by this idyllic vision of spring was pretty powerful. Drunk on vernal thoughts, I attempted the impossible: I was going to bake bread. Luckily for me (and you) this bread is pretty user-friendly. It requires minimal shaping--no fancy loaves or rolls. It's also a pretty forgiving dough. I adapted the recipe from one I received during a class on bread baking at the Kitchen at Billings Forge and was shocked at how easy it came together. I've made it several times since and it's been a winner with everyone who's tried it. If you're hankering for warmer weather, the herbaceous notes of thyme and rosemary will not disappoint. And, with a little pop of salt and citrus on top, it might have you thinking of summer too! completely dried out. Allow to cool before using. Once the yeast has proofed, add the flour to the bowl and stir a few times with a wooden spoon (or your hand if you don't mind getting messy). Add the kosher salt and the olive oil. Continue to blend the mixture together until a dough forms. If the dough is too wet, add a touch more flour. Transfer the dough to a floured surface and knead until the dough is smooth and elastic, approximately 10 minutes. Once the dough has doubled in size, pre-heat the oven to 400F. Brush a half sheet pan with olive oil. Turn the dough out onto a floured surface (save the plastic wrap! You'll need it again in a minute). Stretch it into an oval shape or rectangle that is approximately 1/2" thick. Cover with plastic wrap and place it in a warm spot and let it hang out for 15 minutes. Press your fingertips into the surface of the dough, creating "dimples" in the dough. Brush liberally with olive oil. 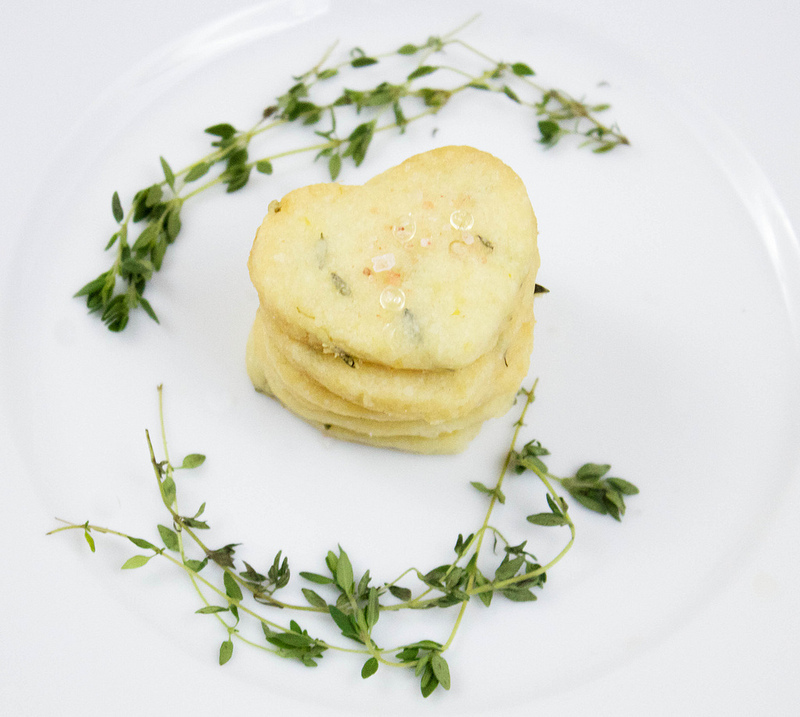 Dust with thyme and chopped rosemary and sprinkle lightly with the blood orange salt. Bake on the bottom rack for 15-20 minutes or until golden brown and lovely. Today, I want to talk to you about Thanksgiving leftovers. Other than the tryptophan nap I take to get out of political debates with relatives and awkward social moments, they're probably the number one thing I look forward to each year. Thanksgiving naturally lends itself to leftovers. In my house, there are more dishes than there are guests. And, with a spread of turkey meat, stuffing and cranberry sauce, there are oodles of possibilities for creating something delicious, whether it be enjoying everything in its original form or crafting some variation of the turkey-stuffing-cranberry sandwich. But what do you do with the not-so-obvious leftovers? This year, we had an overabundance of bread products. Between bake and serve rolls, crescent rolls and three packages of dinner rolls, we were drowning in carbs. As much as we're big fans of bread, there was no way we'd eat all of it. 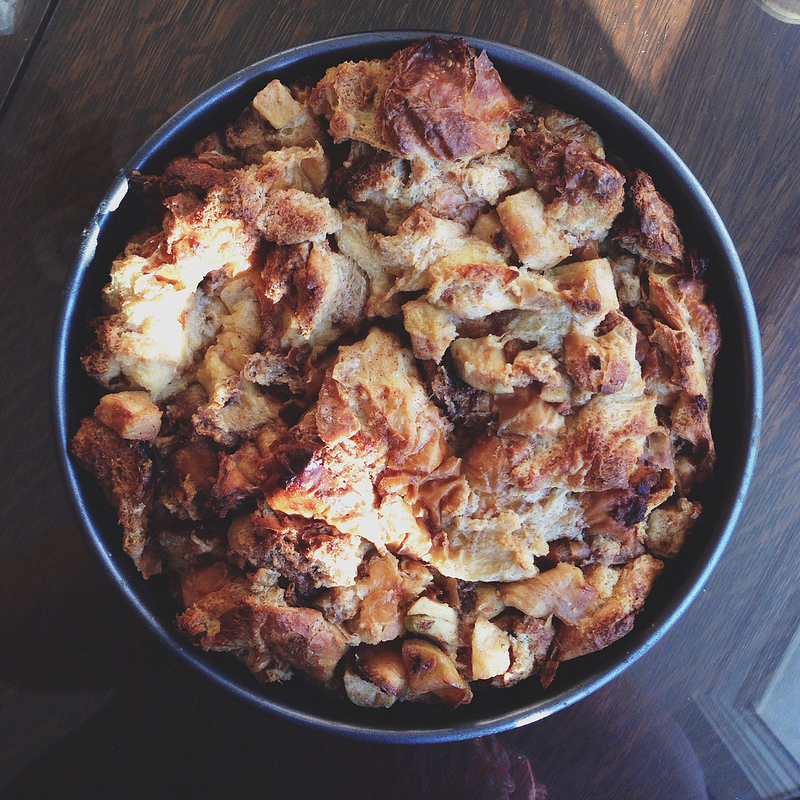 So, with a bit of quick thinking and a dash of digging through my sister's cabinet, I decided to make bread pudding. She had some leftover apples that were meant to find their way to my juicer (so much for that whole 'juice cleanse...') and some recently-purchased cardamom. 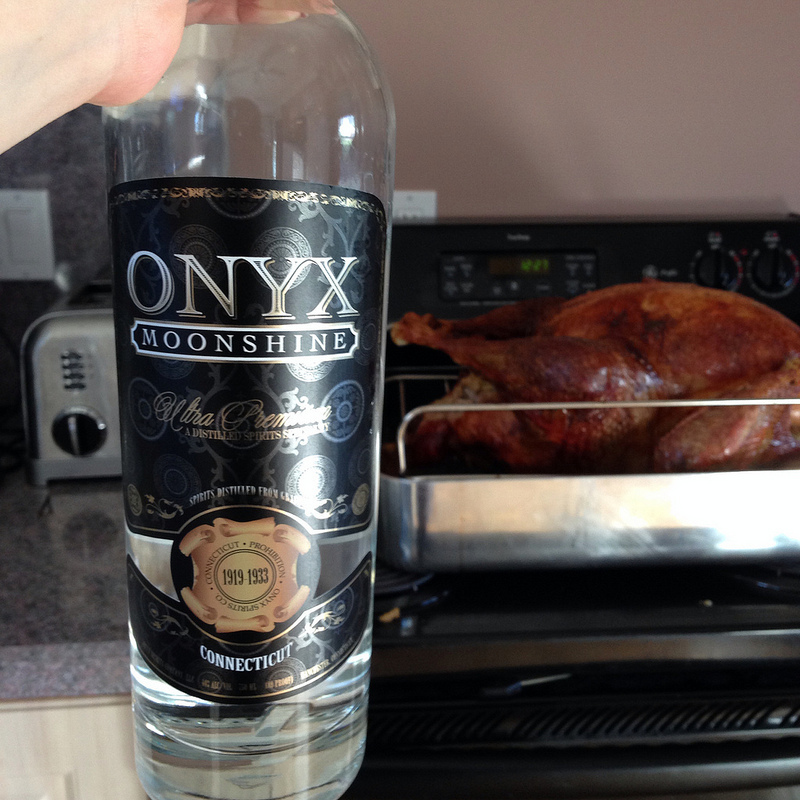 I also wanted to incorporate some Onyx Moonshine into the equation because a) we'd been drinking it all day in the kitchen and b) I'm obsessed with trying to put it in everything, from cocktails to baked goods. 1. Pre-heat oven to 350. Chop or tear dinner rolls into large cubes. Place on a baking sheet and bake until lightly toasted. Remove from the oven and cool. 2. 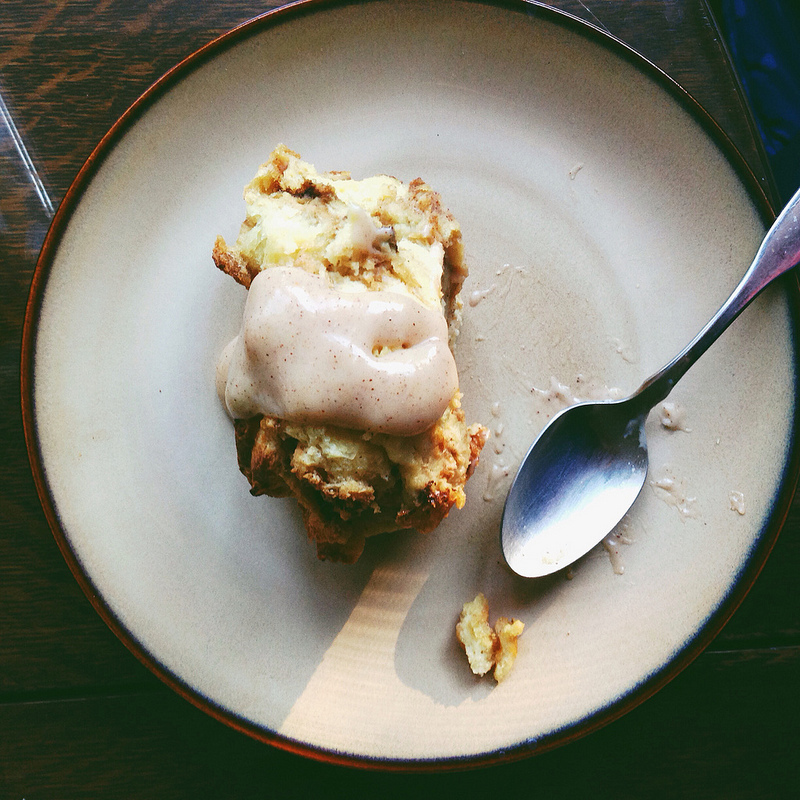 Meanwhile, make the bread pudding liquid. In a large bowl, beat the eggs and whisk in 4 tablespoons melted butter, milk, heavy cream, sugar, vanilla, cinnamon and cardamom. Add the apples and dinner roll pieces. Stir to combine, making sure all pieces are covered. Allow to sit for 10 minutes to absorb the liquid. 3. Brush a 9" round pan with remaining 2 tablespoons of melted butter. Add the bread pudding mixture to the pan. Bake for 40-50 minutes until the custard is set and the top is a light golden brown. 4. To make the glaze, whisk together the cornstarch and moonshine. Combine remaining ingredients in a pan over medium heat. Slowly whisk in cornstarch and cook over medium heat until mixture begins to thicken. 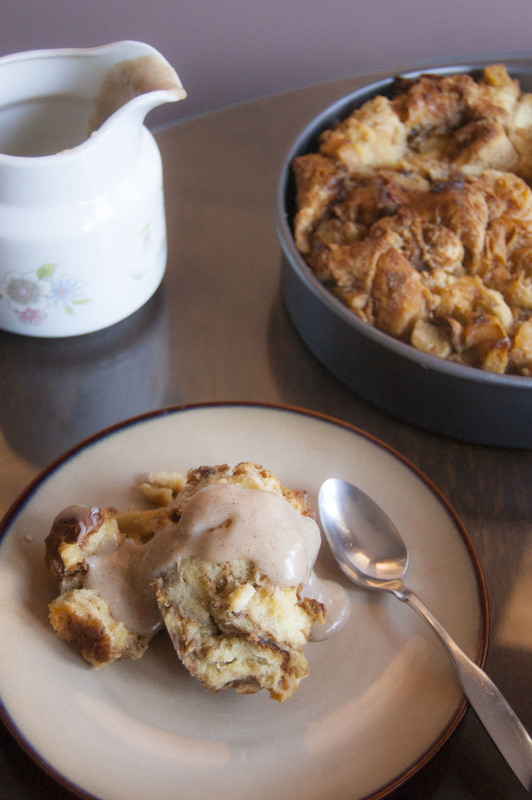 Spoon warm glaze over warm bread pudding and enjoy! When I get stressed, I eat my feelings. I wish I were the type of gal who dons overpriced workout gear and goes for marathon-length runs, sprinting like a sweatless gazelle at the first hint of anxiety. Or one who reorganized their already-meticulous Pinterest-replica pantry when life even hinted that it might throw a punch or two. After nearly 28 years of being me, I can say with immense certainty: I am going to be neither of those women. I am one who finds solace in a spoon dripping with caramel sauce straight from the jar, who hugs a carton of ice cream instead of another human being, who finds carb catharsis and who stocks up on emergency cheese in all shapes and textures.